A fireplace can be an instant enhancement to any home. At Embers Living, we have a wide selection of traditional gas fireplaces to choose from to add to your living space. Our gas fireplaces come in many different sizes and styles to best fit your needs from a number of reputable brands. These fireplaces are designed to give the traditional and authentic look. 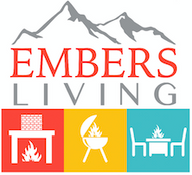 So start shopping with Embers Living today to choose a gas fireplace that will enhance your home!